These were the ultimate, decadent treat and they quickly became my favorite indulgence at this bakery. 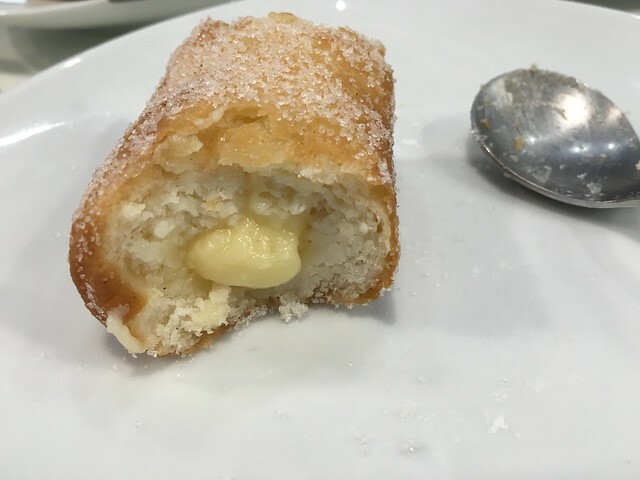 Essentially a tube-shaped doughnut filled with custard (I am so a custard over cream girl! ), and rolled in sugar. By the end of our trip, all the ladies who worked there were saying 'oh yes, your favorite' every time I ordered one. Yeah, it became a bit of an addiction, but an oh-so-sweet one. When we headed here for lunch one day, I must admit I was a little disappointed to realize we'd come all the way across town to what is essentially just a storefront and the mostly sweet options are just for takeaway. After looking around, we discovered pizzas in the freezer and the folks there very kindly heated them in their ovens for us. 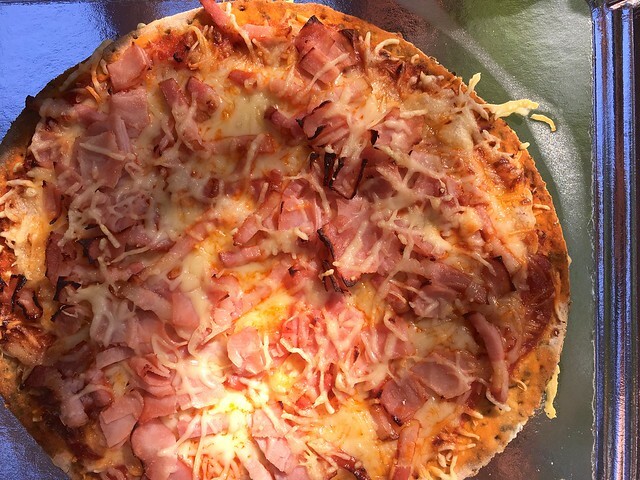 We found a nearby bench at a little park where we could enjoy them and carrying the hot, delicious-smelling lunch to our spot, our excitement couldn't even be dampered by the fact that we had to tear apart the uncut, whole pizzas. Not only were the toppings super tasty, but the crust blew us away. Not a traditional thin, flaky crust, the heartier base was infused with herbs, making it one of the most flavorful pizza crusts I've enjoyed. After we wolfed down our delicious pizzas, it was clear this place knew what it was doing. It would have been a crime not to go back to try something sweet. We got a few of its cookies and cake slices to go, but it was the apple tart that we ate there in the park that was most impressive. 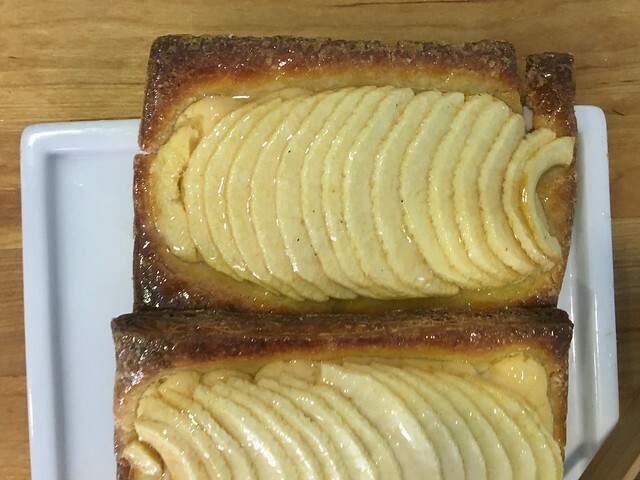 Sliced apples and a thin layer of custard provided just the right amount of sweetness atop the most perfectly-flakey gluten-free puff pastry. Even with my deep love for everything at Jansana, this might have been my favorite dessert there for its simplicity and every aspect of it done just right. 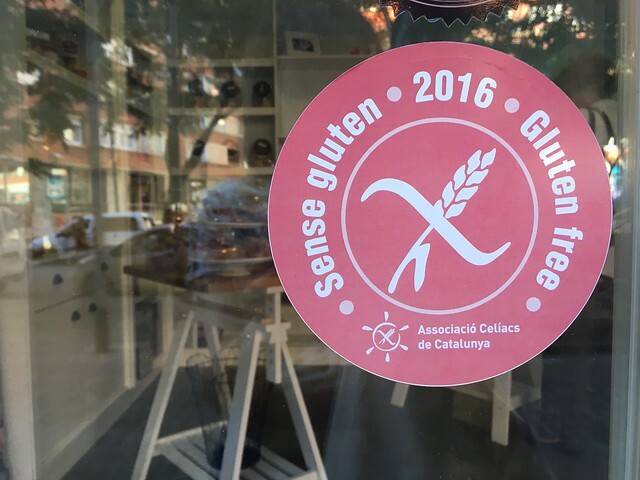 This place is pretty much on everyone's gluten-free Barcelona list, but I must admit my first few visits I felt it was a little... lacking. Granted, it's more of the fast-food persuasion and meals here are super cheap, but I still want my food to taste really good, regardless. 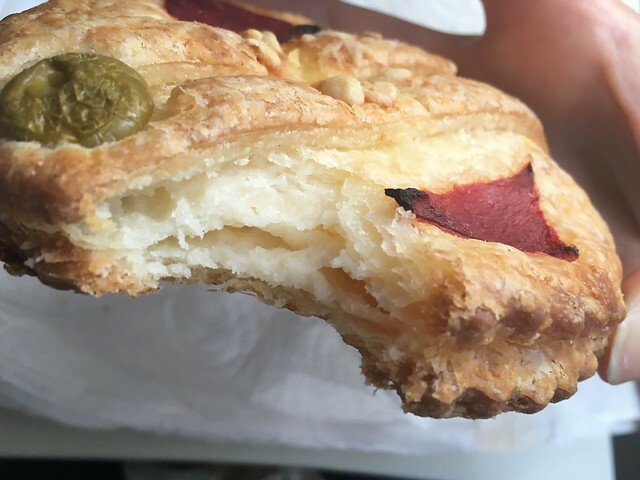 My third time in, just a quick stop on my way out to the beach, I tried a new sandwich, specifically searching for a bit more flavor - and I hit the jackpot. This one was stuffed with two kinds of sausages, one spicy and one more mild, sauteed peppers and a spicy sauce, was just what I had been wanting. It was bit messy for my eating on-the-go, but greatly satisfied my tastebuds and my belly. The bread is here is surprisingly good and all gluten-free sandwiches are prepared in a separate part of the kitchen, wrapped and stickered with gluten-free labels, so there are no worries here. My persistent cold I contracted on holiday was fighting my ability to enjoy myself, so I fought back. In addition to an army of medicines picked up at the pharmacy (nearly all labeled 'gluten-free' on the packaging, a luxury I almost never see in Germany), I found this juice shop that had a flavor that was just what the doctor ordered. 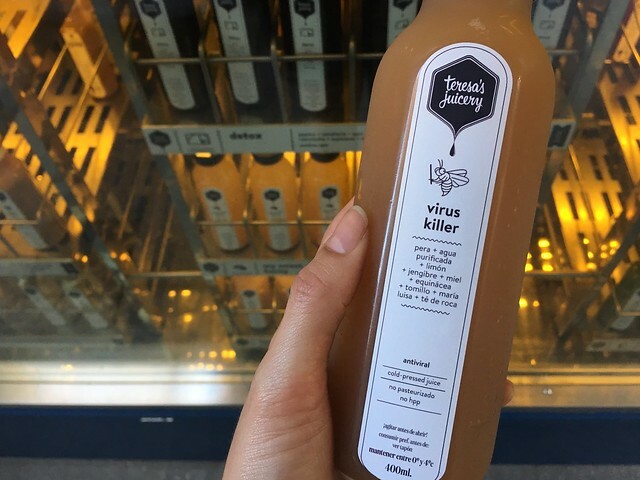 Full of potent ginger and echinacea, this lemon and honey-based juice was far from medicinal tasting. At first it felt a little indulgent to spend nearly 6€ on a bottle of juice, but considering my favorite Berlin cold press costs almost as much for about half the size, but I suppose a fancy bottle of good stuff to beat feeling bad is more than worth it. Who knew eating a beer bar would be a good idea for a celiac? My husband convinced me to join him and a couple of friends for dinner after having the waitress talk to the chef, who happened to have a Michelin star from a previous restaurant. Since I tend to trust Michelin star chefs to care about what they're serving their customers more than say, a line cook at a chain restaurant, I decided to chance it. And I'm so glad I did. 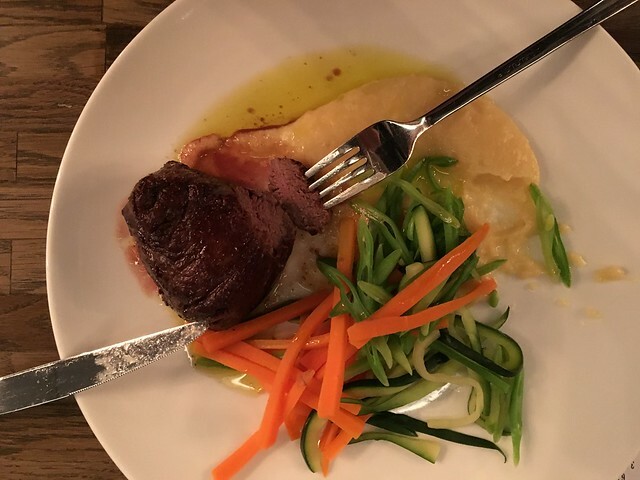 The steak was perfectly done and truffle-infused mashed potatoes that replaced the gluten-y brioche in the very best way. I even managed a flourless chocolate cake for dessert, all without any reaction. The first time we trekked out to this spot (it's not terribly close to any Metro stops), we were concerned about the lack of patrons... until we realized how early we were for Barcelona dinnertime. 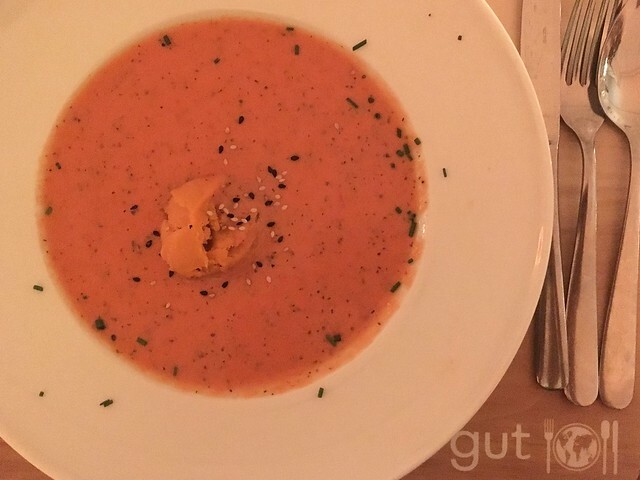 As the restaurant filled up and we started smelling the decadent wafting of rich, melted cheese, we knew our initial impression was very, very wrong. That first visit, we ended up sharing an amazing salad and two pizzas, the highlight of which was definitely the carbonara pizza. Just imagine the best parts of a good pizza and a carbonara pasta coming together to create the most lovely and delicious pizza baby and that's what it is. 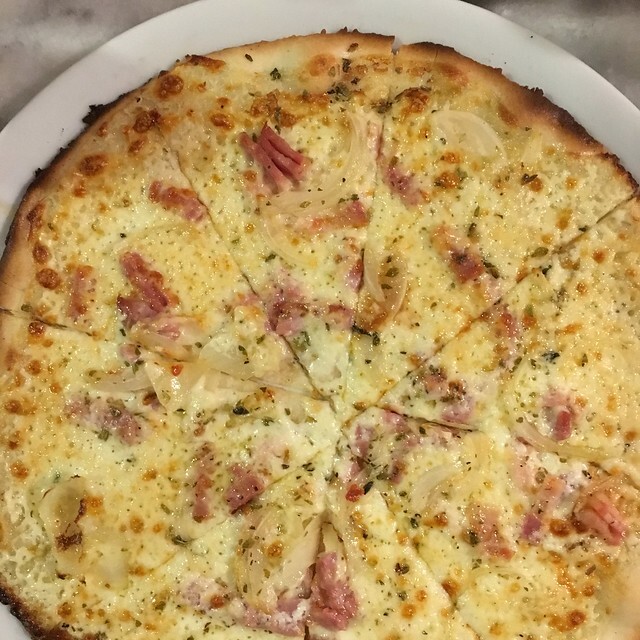 We ate here one other time, and while the pasta is quite good, the pizza is really the star and every style is delicious. Its impressive gluten-free beer selection and fresh-squeezed juices are also killer. 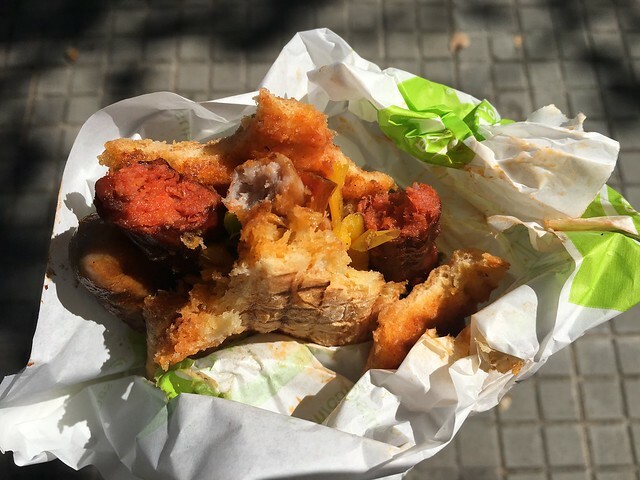 Important to note: There is a gluten-full version of this restaurant - simply called Messié Pizza - in the same neighborhood (on Carrer del Torrent de l’Olla), so be sure you going to the one with 'Sin Gluten' in its name. Another spot that's on everyone's gluten-free Barcelona list, La Lluna was just the place for my birthday lunch. After being escorted in from the street down the spot's rather long entryway and immediately given a glass of sparkling wine, the kind of old world vibe inside is immediately charming. Each one of the three courses was quite good, and felt like a steal considering the caliber of the meal in relation to the price. 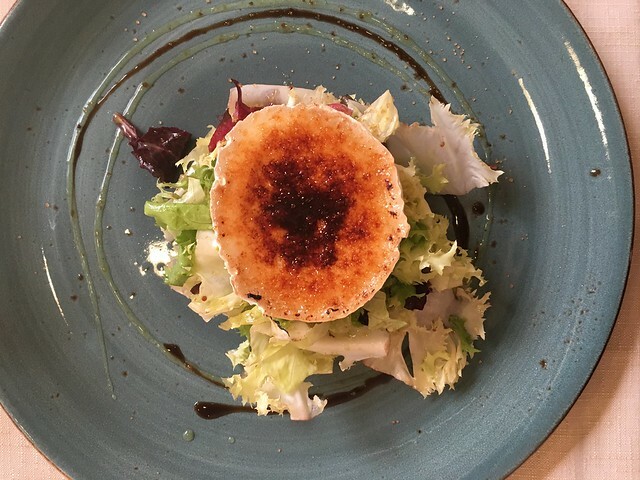 The highlight for me was definitely my goat cheese salad, with its delicately caramelized cheese over crisp greens. The only hiccup we experienced here was a miscommunication about our gluten-free bread needs, which was quickly remedied but meant it was still slightly frozen in the middle in their haste to get it to our table. My only request here would be more gluten-free dessert options, as there were painfully few compared with the rest of the menu's offerings. I'm not gonna lie, when looking at the menu for this widely-known gluten-free-friendly restaurant, this was the dish that stuck out to me the most. Unsurprisingly, I was not disappointed. A little bit sweet, a little bit savory, this was the ultimate gaspacho you would love to have a palate cleanser after every course, every meal.